Thanks for all the support that I got last year on my creations! 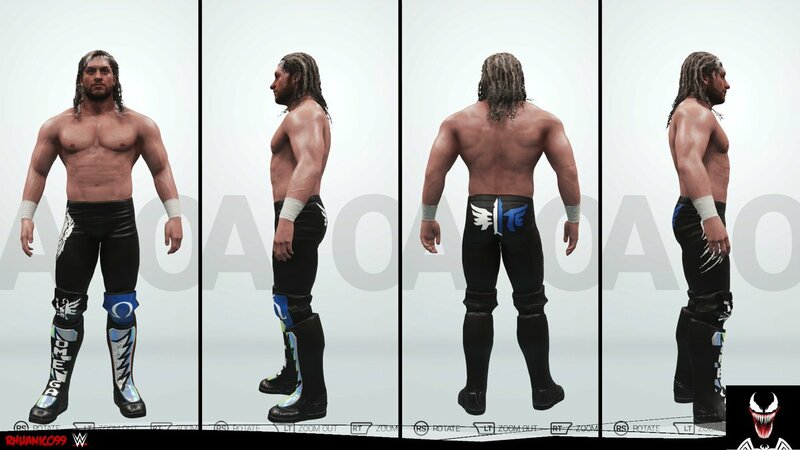 Here are some of my caws that I've uploaded to CC. 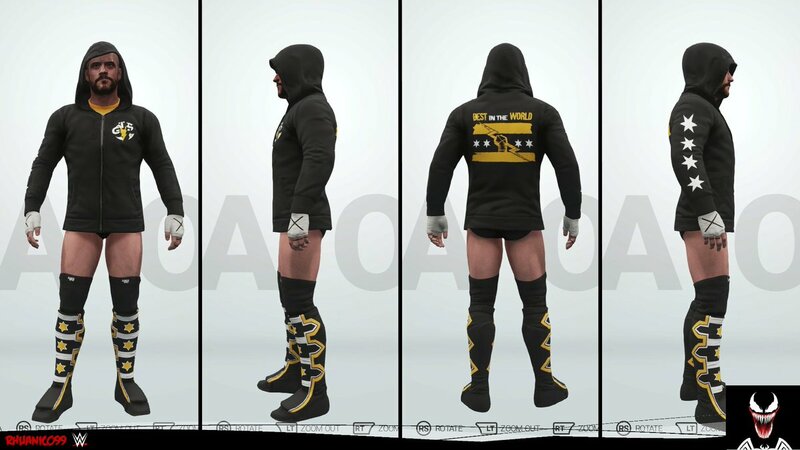 To find them just use #Rhuanico99 on PC. 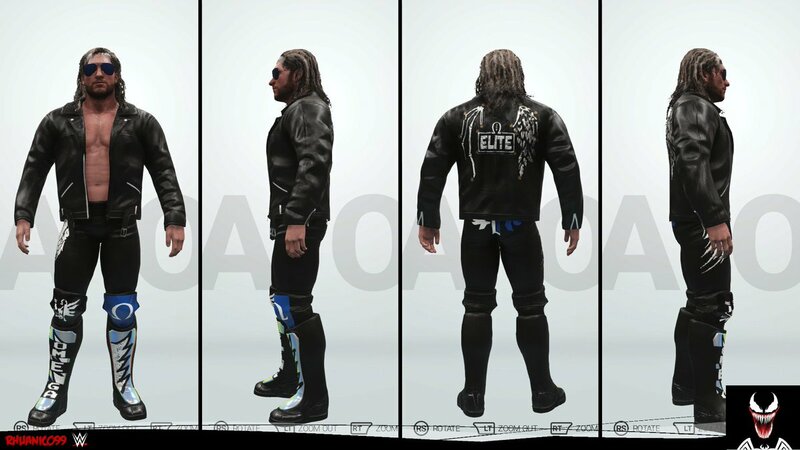 All the feedback and suggestions are welcome and be sure to check my twitter account where I post my creations (@Rhuanico99). Enjoy! Edited by Rhuanico99, 25 January 2019 - 12:46 PM. 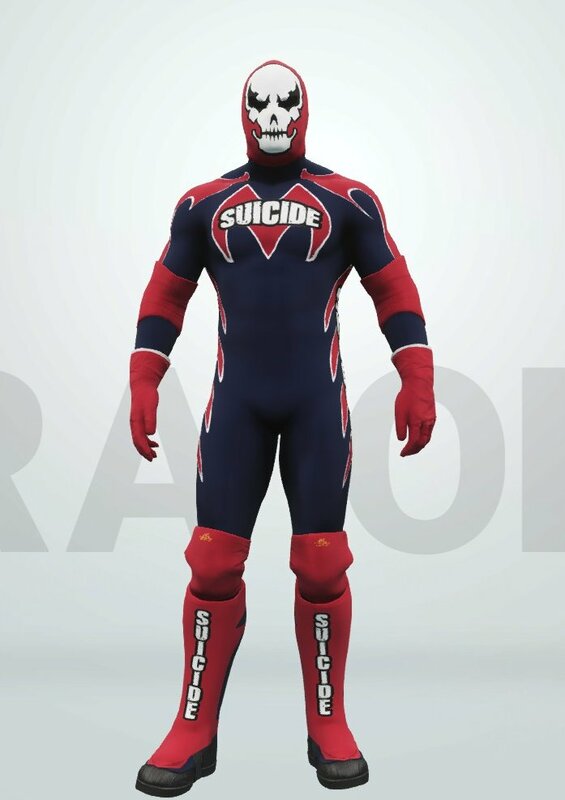 First look at Suicide, he will be uploaded tomorrow with moveset and entrance. 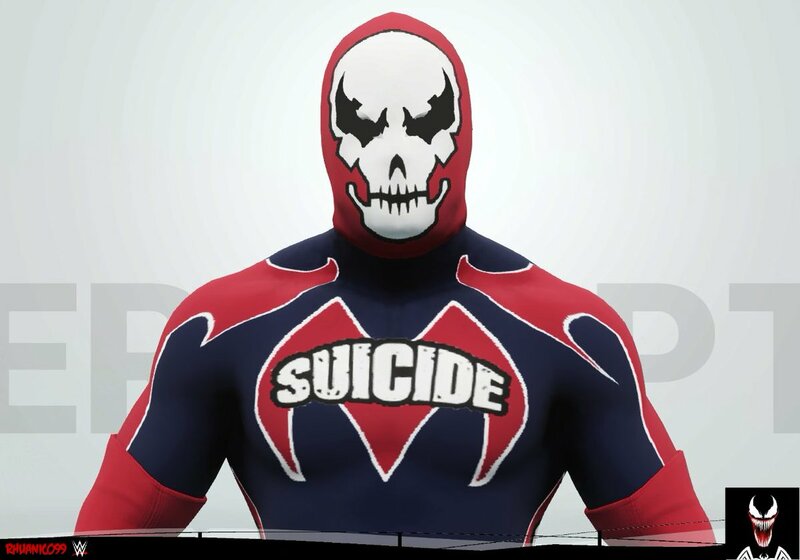 Suicide has been uploaded to CC. Enjoy! This is good man. Do you have anyone else in mind? Not much is out there so far. Thanks! 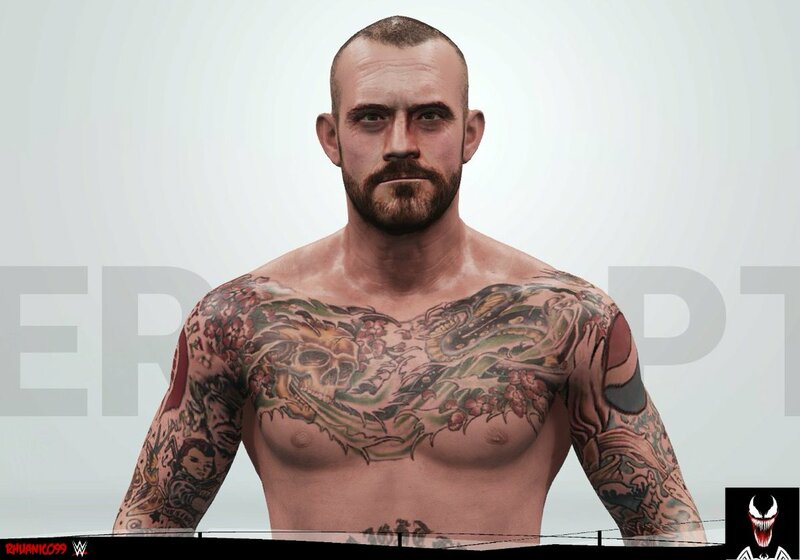 I'm currently working on CM Punk but my internet has been down so the caw making process has been really slow. 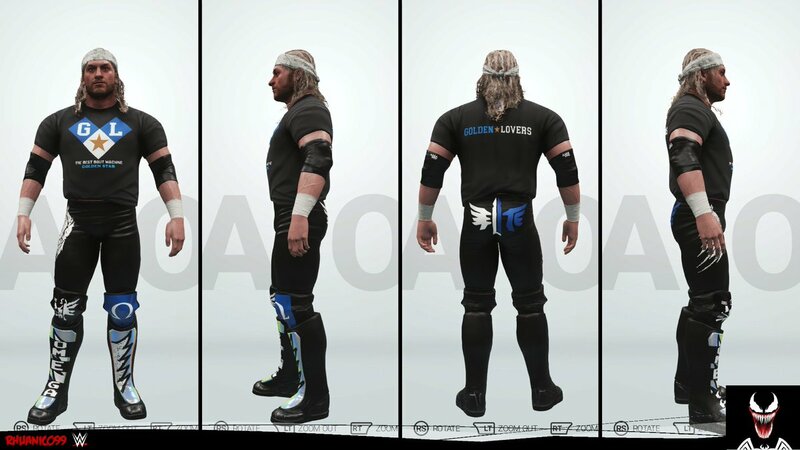 I also have a lot of other caws planned so stay tuned. 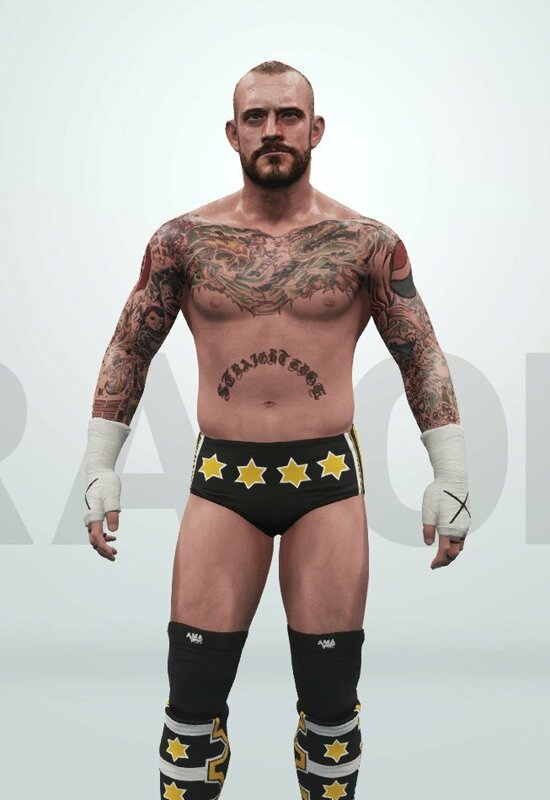 Quick update: my internet is getting fixed tomorrow so if everything goes smoothly, I'll be able to post an update on Punk. 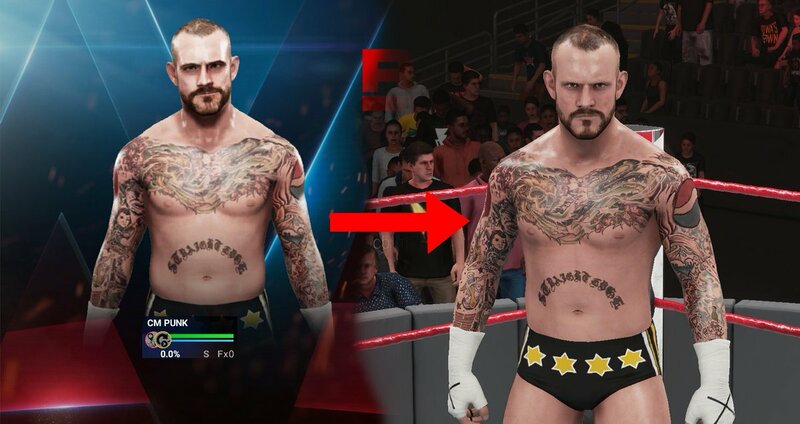 -Minor changes to his face. Any feedback is welcome! If everything goes according to plan, I should have my permanent internet back and I should be able to upload him by thursday. He's already up isn't he? I think I downloaded him last night. 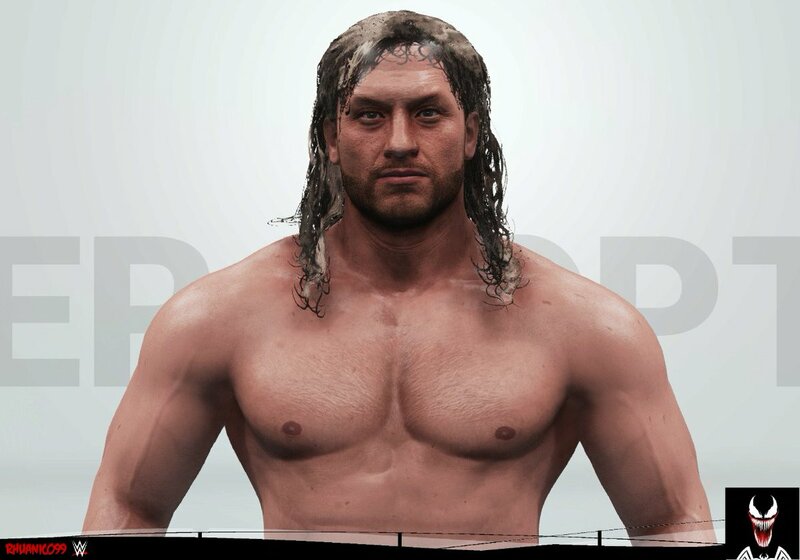 No, I'm only going to upload him on thursday. 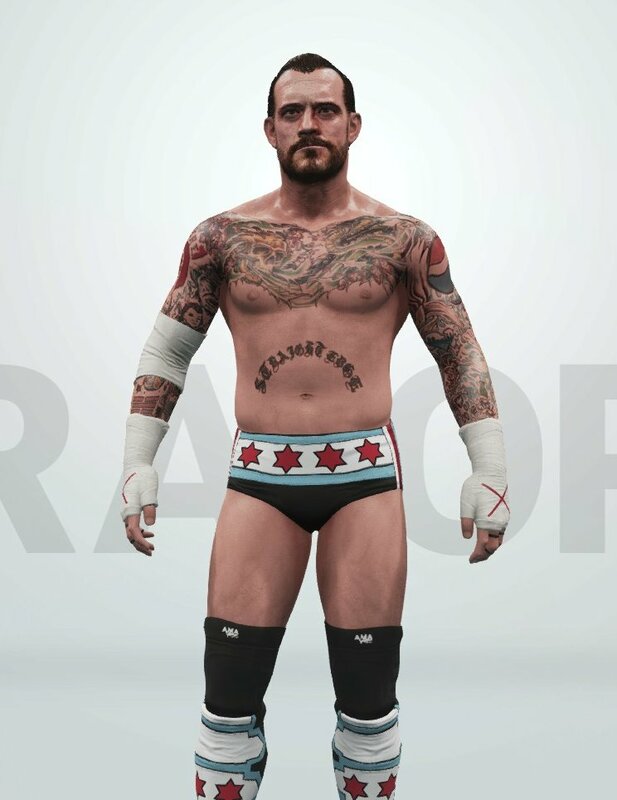 I was doing my final tests with CM Punk when I found out that his face photo didn't show up in-game so I just replaced the texture with a new one and copied the face morphing. Then I was testing it again and it still wouldn't show up and I don't know what to do. Has anyone else seen this or found a solution for this! Thanks! 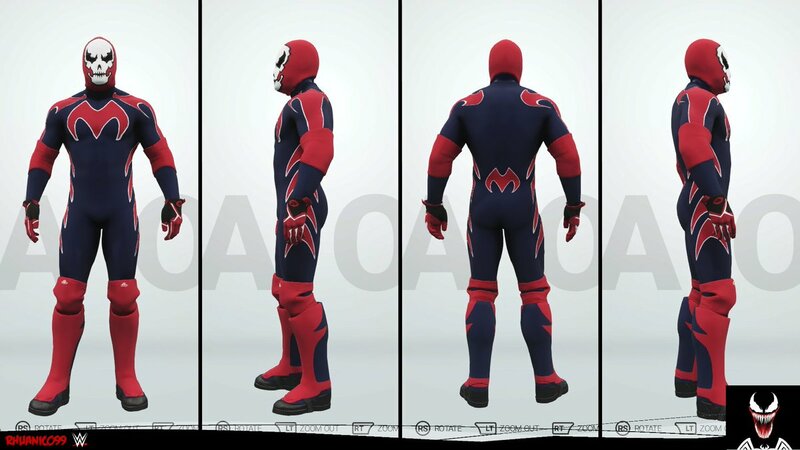 The previews look very nice. Unfortunately I can't help you with your problem, but I hope you find a solution. El Marsh covers that issue in this thread; gives a fix that, I can confirmed, works. CM Punk has been uploaded! 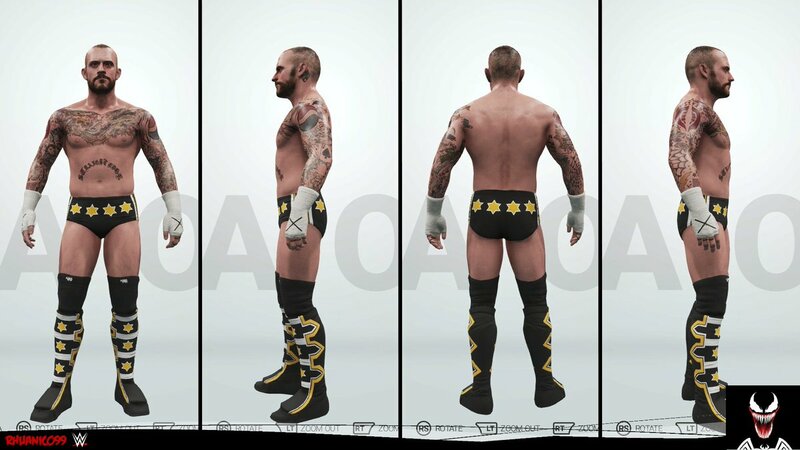 #Rhuanico99 on CC to find him! It worked, thanks Dr. Fumbles! Yeah I got it as well thanks! My only question is whos next lol? Thanks! Already got started on Kenny Omega so expect an update sometime this week!